October 17, 2017 (CHICAGO) — As temperatures begin to drop, many Americans are starting the time-intensive, and often headache-inducing, process of storing their small engine equipment for the season, including lawn mowers, weed whackers, boats and water gear. 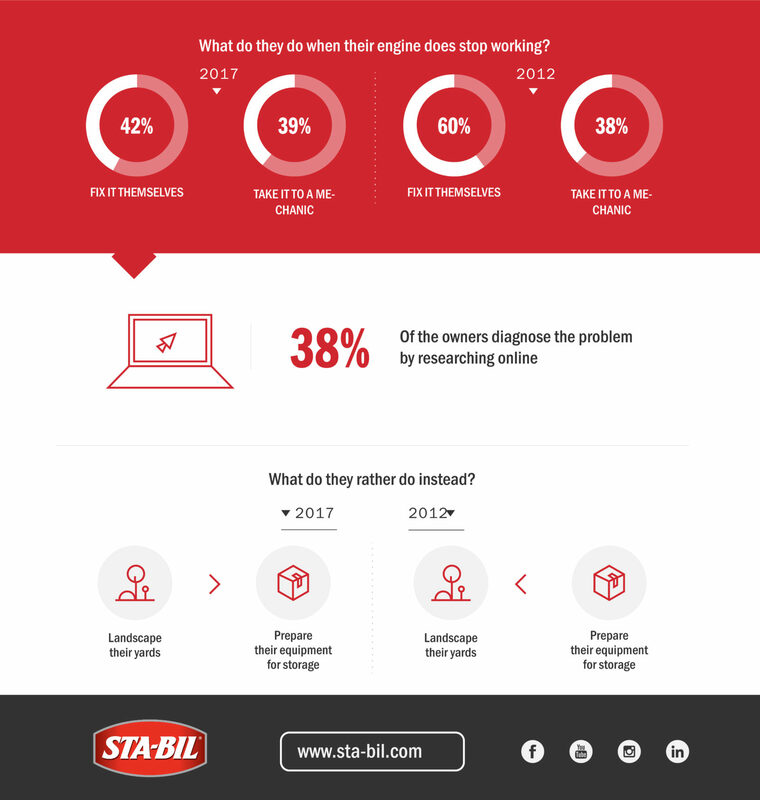 In fact, according to a recent 2017 Fall Storage Survey conducted by STA-BIL®, America’s #1 selling brand of fuel stabilizer and ethanol treatments, almost all (92%) Americans store their small engine machines between seasons, and while 85 percent are confident in their approach, majority aren’t taking the proper steps and are paying the price when they take them out of storage come spring. 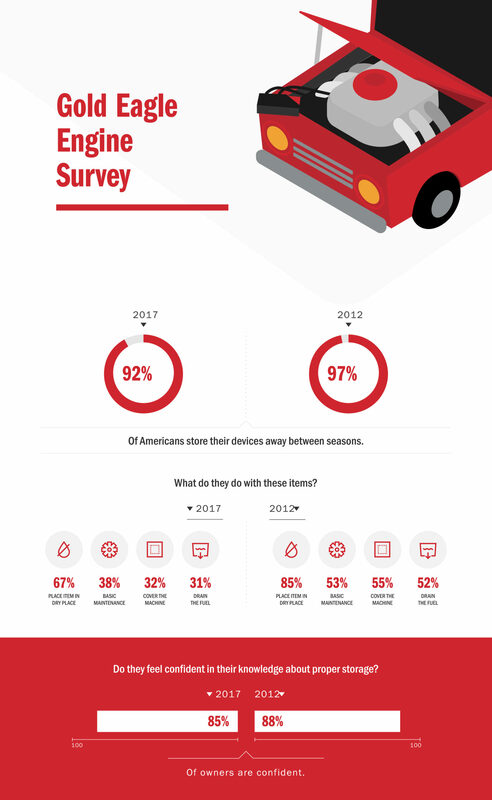 The survey also found that nearly 61 percent of Americans who stored their equipment confessed that they had issues with their machines not starting properly the next season. And when it comes to repair, consumer confidence is down from five years ago as only 42 percent would risk trying to fix their machine themselves (a drop from 60 percent when surveyed in 2012). 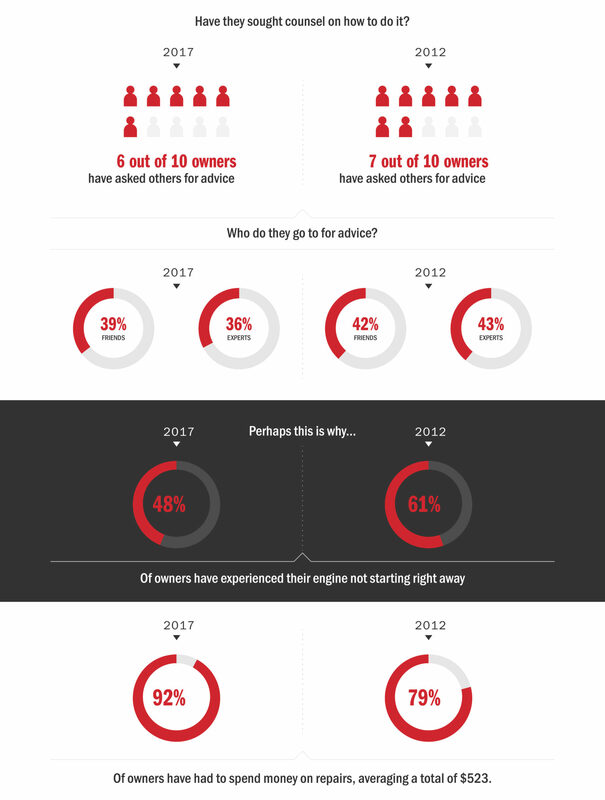 All of this lead to 92 percent admitting that they have spent on average $523 to repair their engine issues – meaning consumers could use a little more education when it comes to storage preparation. Had they taken the proper steps in the upfront, they could have saved themselves a lot of headaches, money and time. To help simplify the process, STA-BIL has shared some tips to help consumers regain their confidence about storing small engine equipment. Clean Equipment Inside and Out – Properly clean your boat or small engine equipment inside and out and make sure to rinse off residue that accumulated during the summer. Remove the Battery – If your machine has a removable battery, remove it and make sure it has a trickle charge. Replace Engine Oil –It’s important to change the oil prior to storage with the oil recommended in your owner’s manual. Old oil contains moisture and acids that will harm engine parts. Before changing the oil, run the engine to warm the oil, as more old oil and contaminants will come off. Stabilize Fuel – Fuel can deteriorate in as little as 30 days causing build-up in engines resulting in poor performance and reduced engine life. DON’T DRAIN THE TANK! Instead, fill your gas tank until it’s 95% full with fresh fuel and then add STA-BIL Storage Fuel Stabilizer. Once added, run the engine for a few minutes to ensure the treated gas is dispersed. Store Items in Proper Location – Make sure to store items in a cool, dry place and cover them to help keep dust at bay. Now, it’s all set for storage! The Gold Eagle 2017 Fall Storage Survey was conducted by Kelton Research in September 2017 and surveyed 1,016 Americans over the age of 18. Founded in 1932, Gold Eagle® Co. is a family owned and operated company that is an industry pioneer in the production and distribution of performance chemicals and surface treatments. Gold Eagle is driven to produce innovative products that protect and preserve the things we love and its award-winning line up of products, includes STA-BIL®, 303® Products, TriNova®, HEET® Gas-Line Antifreeze, Start Your Engines!® , NO LEAK® Treatments, ALUMASEAL®, 104+® Octane Boost, Start Your Engines!® and DieselPower!® Diesel Additives.